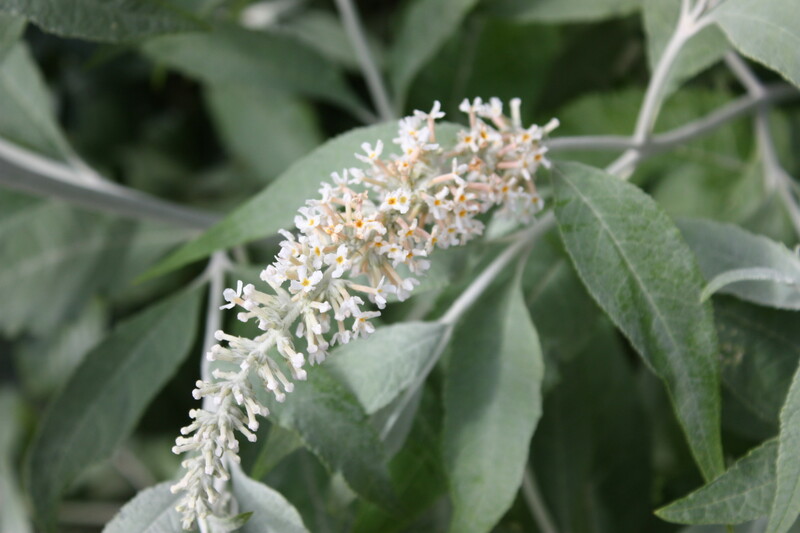 Buddleja fallowiana var alba is a deciduous shrub with a lax habit. The young shoots are clothed with a dense white felt and the pure whiteare borne in late summer. Although root hardy the plants can be cut down by hard winters and is best grown in a greenhouse. 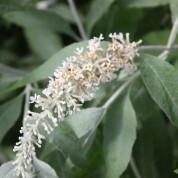 Buddleja fallowiana var. alba is endemic to Yunnan in western China, where it grows in open woodland, along forest edges and watercourses. The shrub was considered superior to the lavender-blue flowered B. fallowiana by William Bean. Introduced to cultivation as seed sent to England in 1925 by George Forrest, the variety was named by Lucien Sabourin.